This is the first book in a spellbinding fantasy adventure series so believable you may wonder if it's happening in your own backyard. "As Arlo looked around, the walls of his room began to vanish, revealing a moonlit forest. Only his bed remained and the frame of his window, through which he saw the girl. The world on her side of the glass was sparkling with silver and gold, like a palace made of autumn leaves. She looked off to her right. Someone was coming. Her words came in an urgent whisper: 'If I can see you, they can see you. You're in danger. Be careful, Arlo Finch. 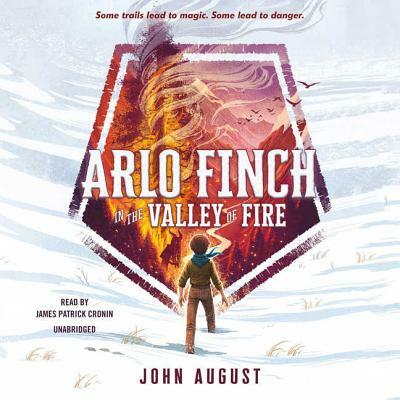 '"Arlo Finch is a newcomer to Pine Mountain, Colorado, a tiny town of mystery and magic, but he has already attracted the attention of dark and ancient forces. At first he thinks these increasingly strange and frightening occurrences are just part of being in Rangers, the mountain scouting troop where he learns how to harness the wild magic seeping in from the mysterious Long Woods. But soon Arlo finds himself at the center of a dangerous adventure, where he faces obstacles that test the foundations of the Ranger's Vow: Loyalty, Bravery, Kindness, and Truth.